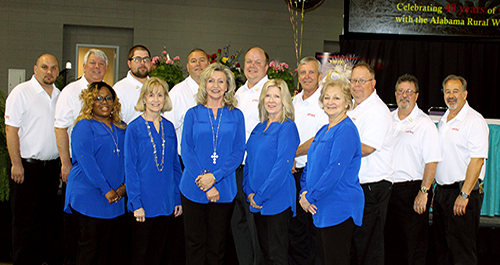 The Alabama Rural Water Association is a non-profit organization representing water and wastewater systems serving rural communities and towns and those commercial firms which support these systems. The purpose of the Association is to provide assistance to these systems to comply with State and Federal regulations, to help them with management and operational problems, and to provide or stimulate training initiatives which will promote personnel development and efficiency. The ARWA is governed by a Board of ten Directors elected from the membership. Elections are held each year at an Annual Meeting of the members. The ARWA is a member of the National Rural Water Association (NRWA) which has member affiliates in 45 states and maintains legal counsel in Washington D.C. to help represent utility interests with the U.S. Congress and the White House. The ARWA partners with State and Federal Agencies regarding water and wastewater issues. 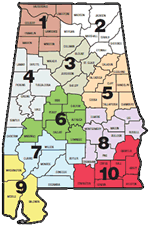 Current partnerships exist with the Alabama Department of Environmental Management, USDA Rural Development, Office of Water Resources, Alabama Department of Economic Community Affairs, Science, Technology and Energy Division, Emergency Management Agency, Department of Homeland Security and the USDA Farm Service Agency. The ARWA is an active participant with Board and Committee Activities of Partnership organizations as follows: Operator Training Advisory Board, the NRWA Emergency Response Committee, the NRWA Membership Dues Committee. the NRWA Legislative Committee, the Alabama Drought Impact Group, Alabama Emergency Management Agency First Responder, Choctawhatchee, Pea and Yellow Rivers Watershed Management Authority and the Alabama Water Resources Commission.